In the normal method of taking fingerprints, ink is applied to each of your fingers. They are then “rolled” across a fingerprint card to obtain your prints. With electronic fingerprinting, there is no ink or card. Your fingerprints are “rolled” across a glass plate and scanned. It is faster and cleaner than the ink method. Electronic fingerprinting reduces smudged fingerprints that can’t be read, and it reduces the overall processing time. What do I need to bring with me to the electronic fingerprinting site? All applicants are required to have two (2) forms of identification. One of the two types of identification must have your picture and signature. Examples are: a driver’s license, state identification card or passport. Applicants will not be fingerprinted without proper identification. What happens if the fingerprint results indicate that I have a criminal history? If you have a criminal history, your application will be reviewed by TDI. They will determine if your crime disqualifies you from becoming licensed. Depending on the type of crime, your application might require board review. You may even be required to appear before the board. You will be notified in writing if that is the case. 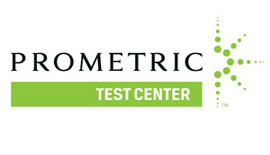 Prometric has the biometric technology needed to take your fingerprints. Your fingerprints will be submitted electronically to the Texas Department of Insurance by Prometric. You must make an appointment at a Prometric location. This can be accomplished by either calling them at 888-467-2080, or by going online at http://www.prometric.com. If for some reason Prometric is not possible, you can use Indentogo. Effective 7/1/2016, the State Fire Marshal’s Office (SFMO) licensing application process has changed. All new and renewal license applicants must submit a fingerprint-based state and FBI Criminal History background check as part of the application process. The Texas Department of Public Safety (TXDPS) has entered into an exclusive contract with MorphoTrust USA to provide statewide electronic fingerprinting through DPS Fingerprint Applicant Services of Texas (FAST) locations operated by IdentoGO. Please follow the instructions given below in order to complete the processing of your license application. All license applications, apprentice permit applications and renewals of active licenses will require a criminal history record check to be done at the applicant’s or licensee’s expense. The cost of this service is $37.00. Obtain a complete, legible set of your fingerprints on an approved FBI fingerprint card from a local law enforcement agency. The cost of obtaining an ink card may vary ($2 to $5) and is not included in the Texas Background fee. Once the fingerprints have been received by IdentoGO, your fingerprint process begins. Go to IdentoGO’s website and Click on “CHECK THE STATUS OF YOUR SERVICE” to follow your fingerprint process. All information requested on the FAST Fingerprint form MUST be provided. If the required information is not provided, the fingerprint card cannot be processed. 2.) Get fingerprinted by a criminal law enforcement agency on an original APPLICANT fingerprint card that includes Texas Department of Insurance CRI TX920540Z. All requested information must be provided on the fingerprint card and you and the official taking the fingerprints must sign the card. Blank cards may be obtained from TDI by calling 512-322-3503 or email request to License at FormsMgr@tdi.texas.gov. All fingerprints MUST be captured by a law enforcement agency. 4.) Wait for a FAST receipt from Enrollment Services. The FAST receipt must be attached to the completed Application for Individual Agent License at the time it is mailed to the Texas Department of Insurance. The FAST receipt allows TDI to locate criminal history information on the individual. TDI cannot complete processing an application until it receives a criminal history report from DPS and FBI for applicants required to provide fingerprints.